The Citrus Category Manager for Woolworths, Cara Reynolds, urged growers to change their thinking about retailers. Cara Reynolds iterated that customers are passionate about “Australian grown”, at the Citrus Market Outlook Forum, 2018. “I’d like you not to think of us as your customer. 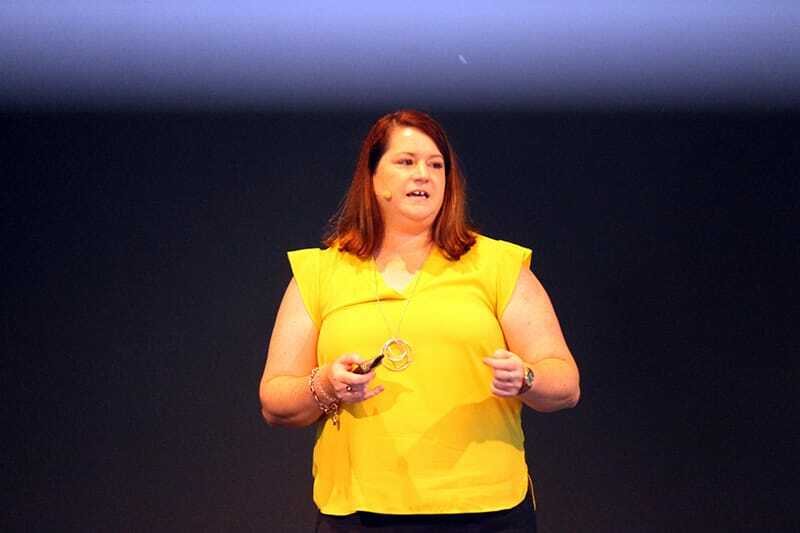 The consumer who buys the products at the end of the day is the customer who we both need to passionately care about, because without that customer, neither of us has a business,” Cara told delegates at the Citrus Australia Market Outlook Forum. Cara said 96 per cent Woolworths’ fruit and vegetables was Australian grown. “Our customer is very passionate about ‘Australian grown’, so are we,” she said. She said of the more than one million kilograms of fruit and vegetables Woolworths purchased every year, 85pc was bought directly from Australian growers, which helped Woolworths tell its customers where the produce came from. distribution centers kept, on average, only 0.7 days’ stock on hand. Consumer shopping habits had changed quite rapidly in the past 18 years, Cara said. “If you go back to the year 2000, customers predominantly shopped once a week or once a fortnight, while the consumer trend now is people are shopping ‘basket shops’ and they’re doing shops more frequently. She said customers were now more concerned about value than price alone. Her research shows customers are doing more “cross-shopping”, meaning they’re buying their groceries from more outlets, including online. She said at Woolworths, the key customer groups purchasing mandarins were older and younger families. Cara cautioned the citrus industry to not take mandarins’ growing popularity for granted. She said customers also wanted seedless fruit varieties. Oranges appealed to similar customer categories – older families and younger families – and older singles and couples also ranked quite high – “but that’s also because [they’re] our main customer”. “Again, the barrier for purchase here is that it is quite hard to peel and we’ve actually seen a trend over the last five years with oranges on a very slow decline,” Cara said. Across fresh fruit, Cara said customers were passionate about quality – particularly a product that looked good on the shelf, that didn’t go off when they got it home and that ate well. She said Woolworths supported the Australian Citrus Quality Standards because customer research showed there was a minimum acceptance level at which customers would enjoy a piece of fruit, which then turned into repeat purchases. According to Cara, customers are prioritising value over price and Woolworths’ promotions aim to tap into this trend. She said the ‘half-time oranges’ campaign was a good example of such engagement. “Anyone with kids will understand the half-time oranges is a great reminiscent factor with our sports. It’s about engaging our customer there,” Cara said.